Making moves late in any campaign can prove difference-makers as you compete for a title. Look at two seasons ago and the Perth Wildcats were last by the end of 2016. They added Bryce Cotton and he ended up leading them to the championship three months later. Even last season, Melbourne United stayed afloat during Casey Prather’s injury by signing Carrick Felix, then made the difficult call to bring Prather back at the expense of Felix. They went on to win the title. Adelaide, too, made the call to bring in former NBA star Josh Childress last season and he was instrumental in them reaching the grand final. His injury during the series could very well be why they aren’t the reigning champs right now. So, when the Kings continued to struggle rebounding this season despite sitting on top of the ladder – and with an import slot up their sleeve – they had the chance to do something about it. They have with the signing of quality state league import Ray Turner. 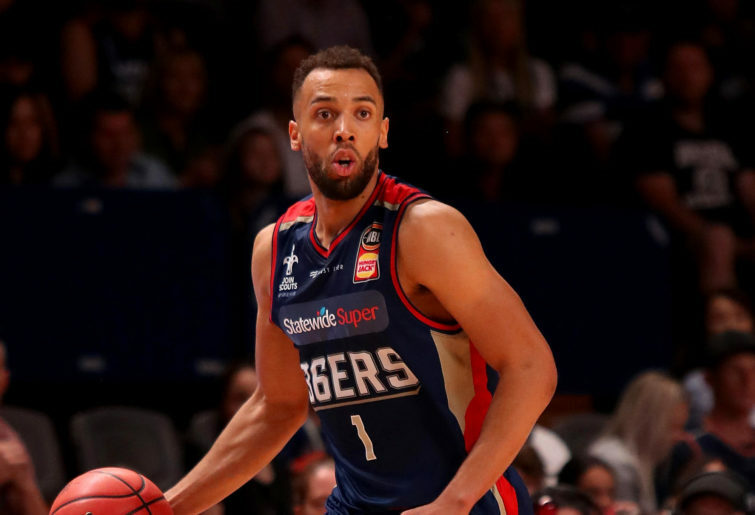 The 36ers have now had Demitrius Conger in their line-up for 13 games, so it’s not a recent move. But they came into the season seemingly overly heavy on guards and lacking in forwards following the loss of Childress and Mitch Creek from a season ago. Adris De Leon wasn’t playing horribly, but as a point guard off the bench he was a luxury the Sixers couldn’t afford. They bit the bullet and replaced him with Conger, who was last season’s runner-up MVP when he was at the Illawarra Hawks. Both those moves have significantly strengthened, or at least should do, the title hopes of Sydney and Adelaide. But they aren’t the only ones who have pulled the trigger. The Brisbane Bullets team of right now is significantly different from what it started the season with and all the moves have been for the better. Alonzo Gee looked a player here for the ride, but his replacement Lamar Patterson could well be the signing of the season and his all-round game with the Bullets has him performing at an MVP level. Stephen Holt wasn’t overly happy to accept his backseat role so his replacement, Jeremy Kendle, is a step up too. The late addition of AJ Davis gives Brisbane some frontcourt depth behind Matt Hodgson, Cam Bairstow and Mika Vukona that they were lacking. So while it now looks the rosters are set for the run home and United, the Wildcats and Hawks have decided to stick with what they’ve got, the Kings, Bullets and 36ers have all made moves to significantly improve as they fight for a playoff spot, and ultimately the championship. Despite the presence of the league’s leading rebounder Andrew Bogut, rebounding was likely the biggest thing holding the Kings back this season. That might seem a strange thing to say considering they were still top of the table. Coach Andrew Gaze, however, continued to lament their lack of rebounding, particularly at the offensive end, and knew something had to be done. They didn’t need another big to come in and have plays run for him or to take shots off Jerome Randle, Kevin Lisch, Brad Newley, Daniel Kickert or David Wear, although Turner has proven himself one hell of a scorer in state league stints in Perth, Queensland and the SEABL. What they needed was an experienced, big body who would provide some size and strength inside, grab some rebounds and provide some backup to Bogut inside when he needed it. At 28 years of age and having settled in Australia playing across the country and marrying Gabby Turner (nee Clayton), Turner was more than happy to join the Kings. He is happy to accept the spot as a role player even if he’s accustomed to being to the go to man. “It’s a big difference for me because on my other teams, I’ve always been the guy on teams I’ve been on. Now for this team it’s about me not really being the guy, but I have to be there for the team and that’s always the No. 1 thing I’m about anyway,” Turner said. “I want to help my team win any way possible whether I’m the guy or not. Now here with the Sydney Kings I’m not expecting big minutes or anything like that, but if Bogut needs rest or someone goes down I’m ready to go. While Turner has the long-term goal of this stint with the Kings leading to a full contract in the NBL next season, his focus right now is on filling his role at Sydney and trying to help them end up with a championship come March. “I always wanted to play in the NBL at this level and having this opportunity with such a good team, and fitting into that puzzle is really good,” Turner said. “On top of that with the chance we have of coming away with a championship and a ring is just gorgeous in general for me in my first time in the NBL. That would just be a huge accomplishment and it would give me something even more to look forward to in the following years in the NBL as well. Meanwhile, in Adelaide, the 36ers continue to play at the fastest pace on the league and love to push the tempo meaning the signing of such an offensive weapon like Conger seemed like it could push them over the edge. As expected, it did take Conger some time to settle into the new group but he was familiar with the league following his season with Illawarra in 2017-18 where he finished as runner-up to Cotton in MVP voting averaging 19.7 points, 5.7 rebounds and 2.7 assists. The 36ers have gone 9-4 in Conger’s 13 games since he arrived showing that he has made a positive impact. His numbers and output might not have been what we saw of him last season early on averaging 10.8 points over the first nine games. But his last four matches have been superb with Conger producing 19.3 points a game and he is fitting into the Adelaide so much that he could very well be that final piece of the puzzle that could take them a long way come playoff time – if they reach it. Conger is enjoying the way things are going at present and his focus is on continuing to help the Sixers reach their potential. “It’s a great feeling at the moment especially when I can come in and help the team however that’s possible, whether it’s scoring, rebounding or with my defence. The fact that it’s showing on the win-loss column is a great feeling,” Conger said. Conger enjoyed his time both playing in the NBL last season and living in Australia so much that he found himself craving a return during his stints in between in Italy and France. Now that he’s here, he’d like to make the most of the rest of this season with the 36ers with an eye to remaining in the NBL next season and beyond. “It’s more about on the court stuff, but if everything came full circle then I would definitely want to come back to Australia and play here again. I’m sure a bunch of people want to come here and play so it’s not as easy as just me wanting to, but I’d definitely be happy to come back,” Conger said. “The lifestyle definitely plays a factor. I feel like one of the main things that kind of goes under the radar is the language. At the end of the day, it’s English and that just makes such a difference. “When you all speak English everything is so much easier and you can have simple conversations as opposed to like when I was in France.